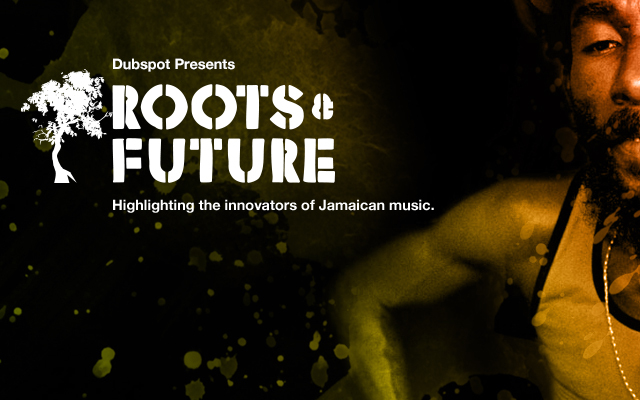 Our Roots and Future series celebrates the pioneers, innovators, and torch-bearers of Jamaican music. Check out interviews with Gabrie Selassie, Lee “Scratch” Perry, Zion I Kings, Addis Pablo, Kamal Evans, and Ward 21. Since the late 1960s, the small island nation of Jamaica has maintained one of the world’s most vibrant music scenes, sparked various musical styles and revolutions (reggae, ska, dub, and dancehall to name a few), and introduced new recording and production techniques to the world. Without question, Jamaican music and culture continues to influence a wide variety of musical genres around the globe. In our Roots and Future video series we pay tribute to some of the great innovators of Jamaican music. In this first installment of Roots & Future, Dubspot instructor and Dutty Artz co-founder Matt Shadetek caught up with DJ and producer Gabrie Selassie of Rockers Sound Station and Kingston Dub Club for an interview about sound system culture and roots music in 21st century Kingston, keeping alive the musical traditions of Rockers, one of the many innovative sound systems and recording labels established during the golden age of Jamaican music by pioneer roots reggae artist and dub producer Augustus Pablo. Lee “Scratch” Perry is a seminal Jamaican producer and artist whose innovative studio production and recording techniques in the early 1970s alongside other musical giants like King Tubby and Errol Thumpson pioneered the way for the creation of dub. Dub music has influenced techno, dub techno, jungle, drum and bass, dubstep, trip hop, house music, punk, ambient music, rock, and hip hop, and a diverse range of artists and musicians from Massive Attack and The Clash to Beastie Boys and Bill Laswell. The unique production and composition techniques that Perry and other late 1960s and early 1970s Jamaican producers and engineers invented helped to transform sound processing technologies and the recording studio into an instrument. Lee “Scratch” Perry recorded and produced Bob Marley and the Wailers, The Heptones, Max Romeo, The Congos, U-Roy and many more from his legendary studio The Black Ark. While in New York City on a recent tour, Lee “Scratch” Perry dropped into Dubspot HQ before heading to a studio session with Adrian Sherwood and Subatomic Sound System where in true “Scratch” fashion, he demonstrated some unorthodox recording methods. Matt Shadetek catches up with Andrew “Moon” Bain, Laurent “Tippy” Alfred, and Jah David, members of the roots reggae production house Zion I Kings, at the legendary Tuff Gong Studios in Kingston. Zion I Kings’ (Zion High Productions, I Grade Records, and Lustre Kings Productions) production credits include productions and collaborations with Snoop Lion, Jahdan Blakkamoore, Midnite, and many more. In this interview, the trio talk about their collaborative and individual creative processes for producing riddims, how they individually and collectively utilize different sound recording technologies (including Logic Pro, Ableton Live, and Akai APC). Addis Pablo (Rockers / Suns of Dub) @ Dubspot! Addis Pablo, the son of late Jamaican musician, reggae producer, dub visionary Augustus Pablo, stops by Dubspot HQ in NYC for a chat about the historical and social context of Jamaican roots reggae and it’s popularity around the world due to the emergence of international acts like Bob Marley and the Wailers and Augustus Pablo. Addis talks about continuing the legacy of Rockers International (a record label, store, and sound system founded by Augustus Pablo) through projects and collaborations like Suns of Dub with Ras Jammy and others. Kamal Evans, senior engineer at Big Yard Studios in Kingston, Jamaica, talks to Dubspot’s Matt Shadetek. Kamal offers some tips and techniques for producers working with vocalists. His main advice is simple – make sure the artist is comfortable during the recording session so they can deliver their utmost best performance. Kamal also discussed some of the unique aspects of mixing reggae and dancehall riddims, making sure the rhythms (drums and bass) are strong first and foremost, and having powerful vocals. Last but not least, Kamal talks about paying dues, learning from his predecessors (like Jamaican studio engineer like Steve Stanley). In this final video interview for Roots & Future, Matt Shadetek catches up with Ward 21, the world renowned Kingston-based dancehall group consisting of vocalists and producers Andre “Suku” Gray, Kunley McCarthy, and Mark “Mean Dog” Henry. 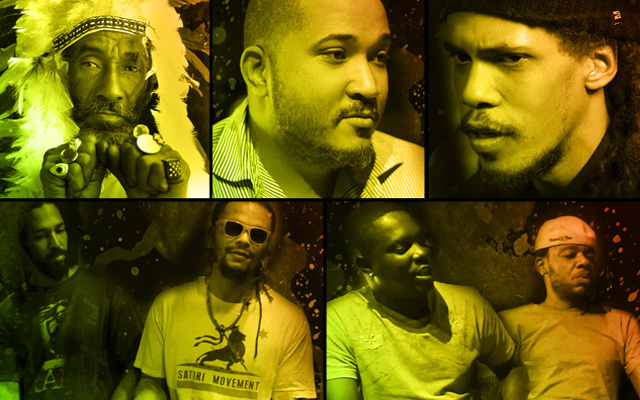 They group came together in the late 1990s under the tutelage of legendary music producer King Jammy, who recognized their talent and gave them a platform to express themselves musically. Ward 21 went on to create dancehall hits and riddims including “Badda Badda”, “Da Joint”, and “Volume” and blazing singles like “Haters”, “Rhyme”, “No Apologies”, and “Judgement Day”. Today, they mentor the fledgling Bada Bada Gang (consisting of rising artists Tifa, Natalie Storm, Timberlee, DeeWunn, Point-O, CK, and Marcy Chin) and continue to release innovative dancehall reggae music. « NAMM 2014 Video Highlights from Dubspot w/ Dave Smith, Moog, Bitwig, Pioneer, Apogee, iZotope, Akai And More!